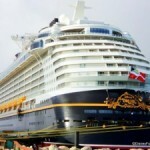 With only a week until the Disney Fantasy Cruise Ship sets sail for its Maiden Voyage, I wanted to prep those of you who are sailing with some reviews! 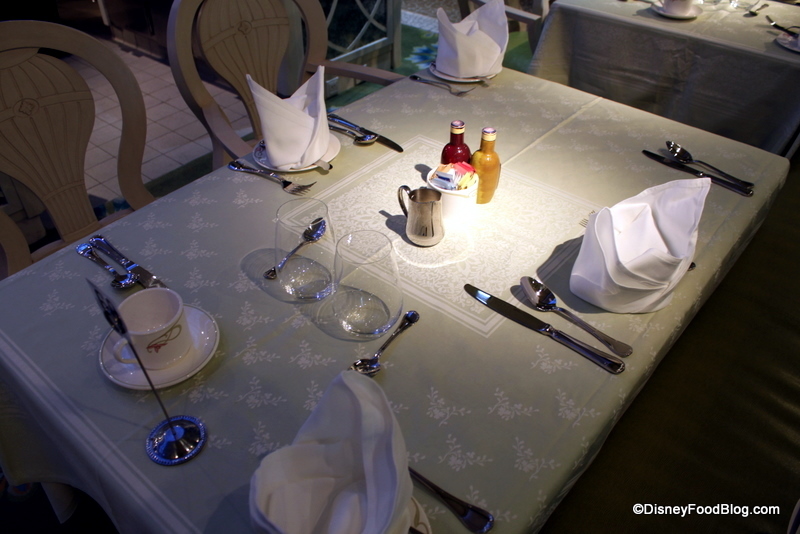 One of the Disney Cruise Line Rotational Dining restaurants on board the Fantasy is Enchanted Garden, a lovely restaurant that “brings the outdoors in” with fun special effects! 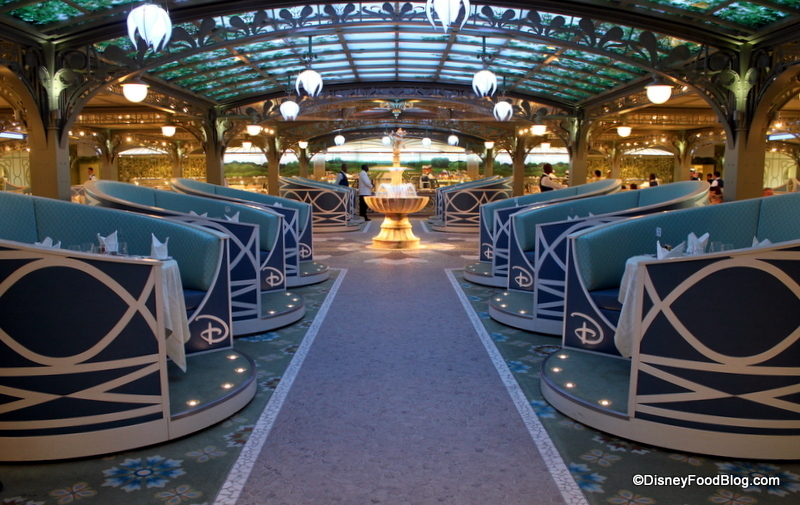 I think that a favorite morning escape for many guests on the Fantasy will be this serene restaurant. 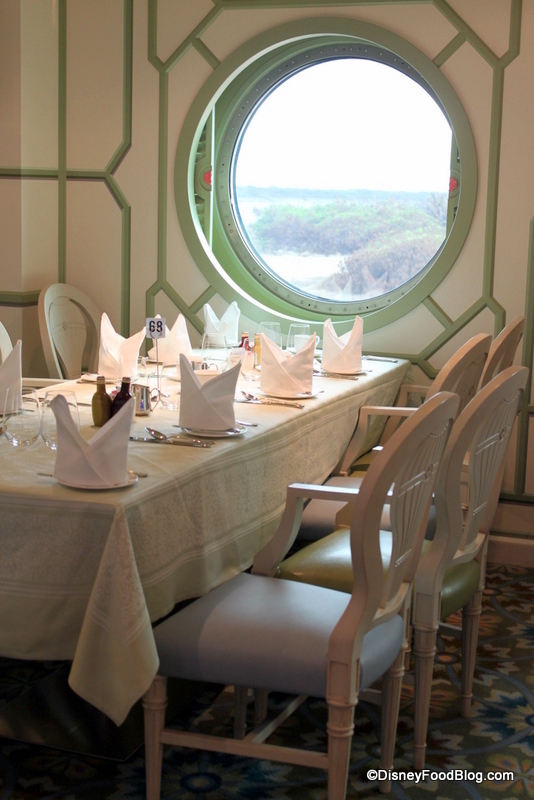 Enchanted Garden is found on Deck 2, midship, and serves dinner daily. 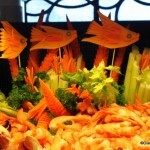 Check your personal navigator for the days on which a bountiful buffet is set out for breakfast and lunch! Enchanted Garden evokes visions of the gardens at Versailles. Garden landscapes, white lattice, blooming flowers, and a centerpiece fountain beckon guests to dine in this outdoor-like setting capped off with a brilliant, ever-changing sky. 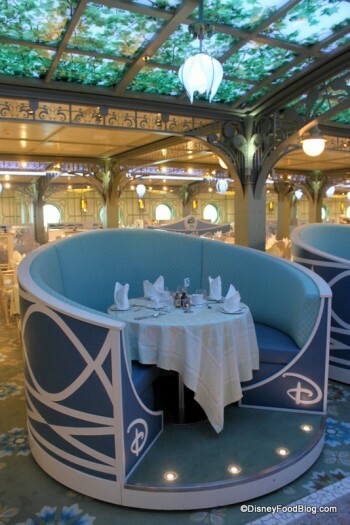 These whimsical booths make me think of the Mad Tea Cups in the Magic Kingdom. 😉 Thankfully, diners don’t have to worry about spinning (unless they enjoyed a few Drink Specials up on deck)! I love this view down the central aisle of the restaurant. You almost feel like you’re at a premier! One of the very cool special effects that guests will notice are the custom light fixtures hanging from the vine-covered “glass” ceiling. 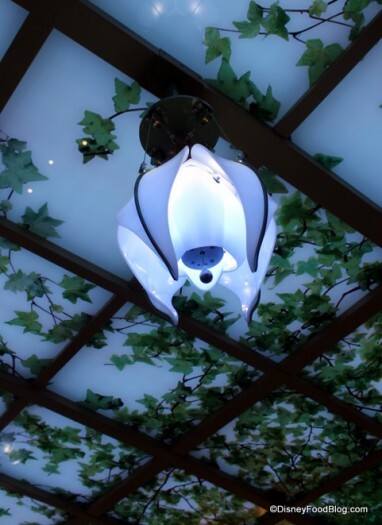 The fixtures “bloom” and the sky changes color throughout the day! In the morning, the sky will be bright blue. When you return for dinner, you’ll find a visual treat of a night-time sky twinkling with stars and fully open flower lights. 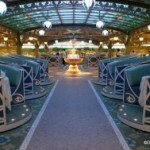 This conservatory doesn’t forget to pay homage to the real captain of the ship. 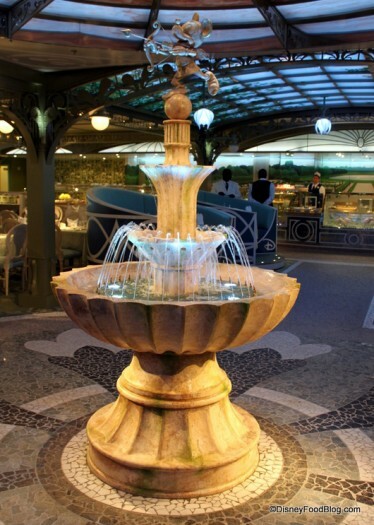 Look closely to see Mickey as a fountain fixture! While the tables don’t steal the show, they’re set with simple elegance. The crisp linens and beautiful tableware add sophistication to this breakfast buffet meal. And even though the portholes (windows!) are small, there is plenty of light and view to be had! Can you just imagine sitting by one of these and whiling away the morning while sipping a cup of coffee, staring at the waves outside? 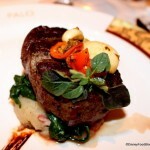 True luxury! The breakfast buffet is not huge here, but there are many good options with which to fill up your plate. 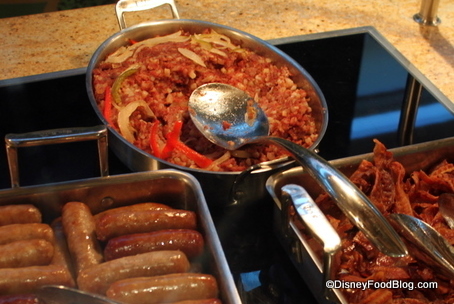 Actually, this is probably one of the best breakfast buffets I’ve had in a Disney restaurant! 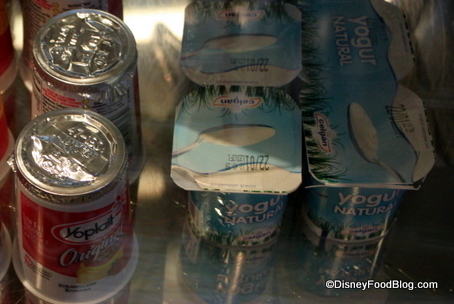 There is plenty of ice cold milk available in all different varieties, and don’t forget to pick up some yogurt (the Enchanted Garden has both pre-packaged and spooned yogurt). 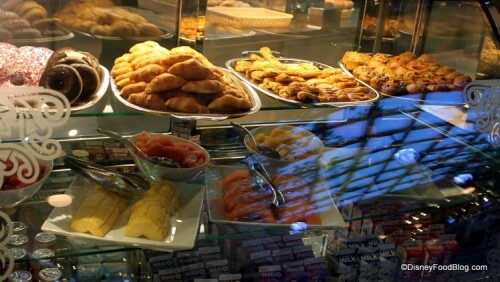 There’s also plenty of fresh fruit available! 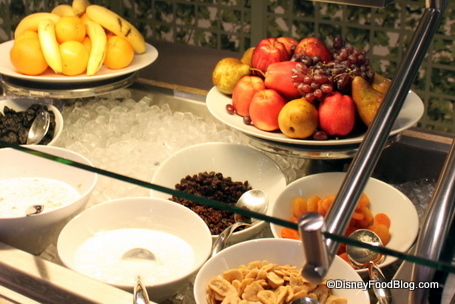 Dried fruits, granola, and other great toppings including Flaked Almonds, Dried Prunes, Muesli, and Loaded Muesli are available for your hot and cold cereals, and for yogurt! 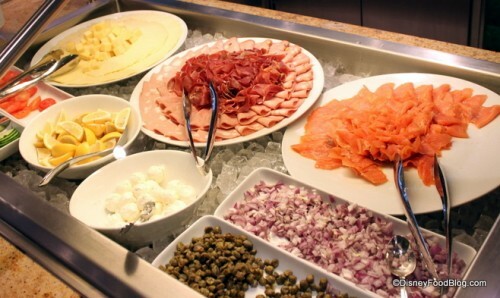 Also on the cold buffet, you’ll find great bagel toppers like Rolled Smoked Salmon, Diced Red Onions, Capers, Cold Cuts, and Cream Cheese. 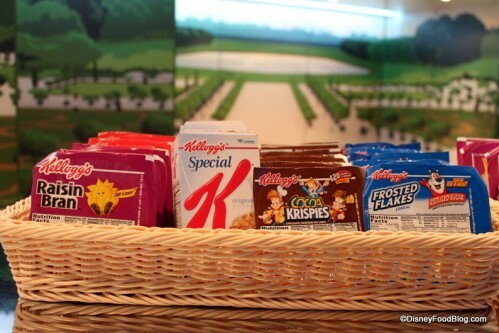 Cold and hot cereals are available. 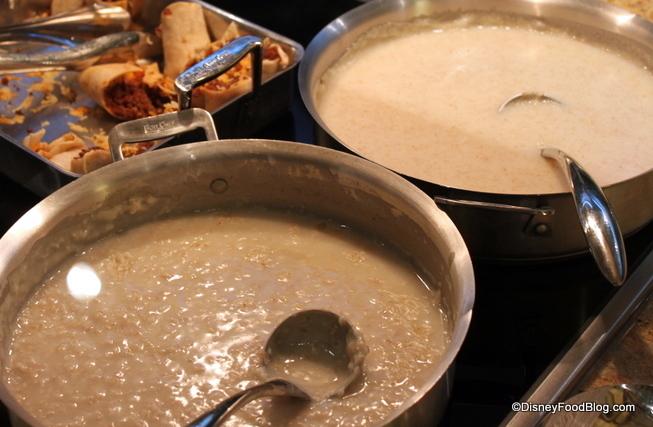 Choose from individually packaged favorites, or try the hot cream of wheat and oatmeal (there’s pletny of brown sugar)! 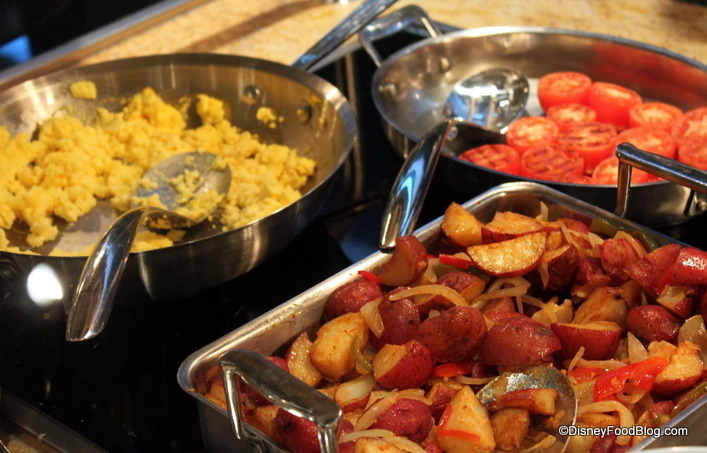 Headed over to hot side of the Buffet, you can sink your teeth into some standard and not-so-standard breakfast buffet items! Personally, I loved the roasted potatoes with onions! 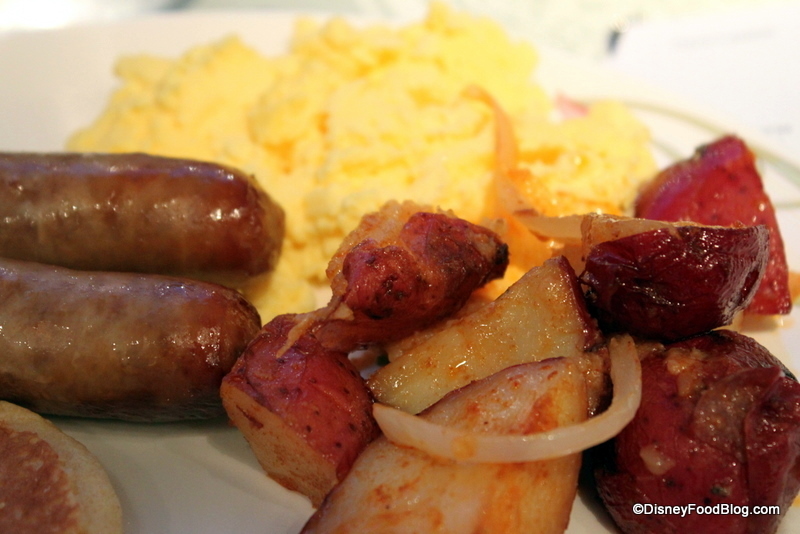 Breakfast meats are also available, including sausages, bacon, and hash! 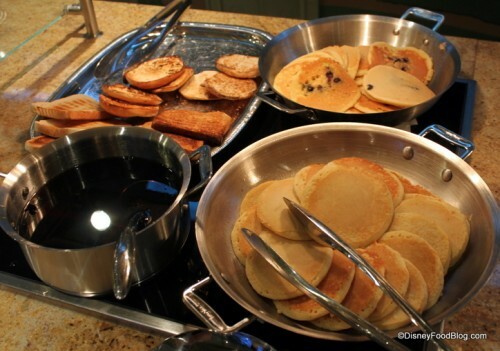 If sweet breakfast treats are more your style, look for the pancakes and syrup! 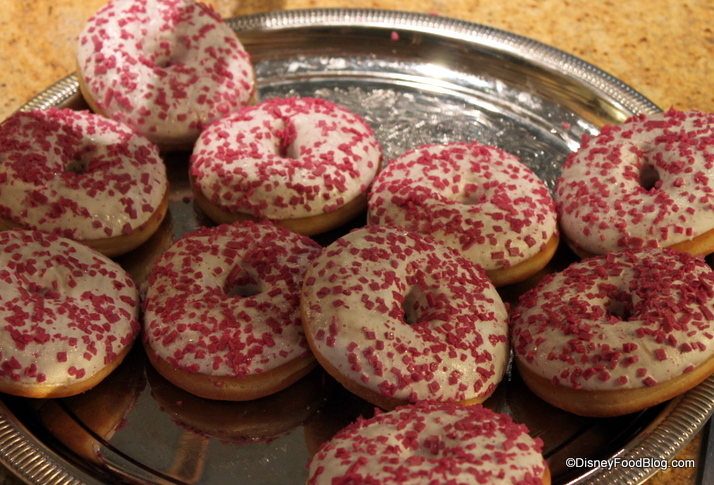 There may be several flavors to choose from! 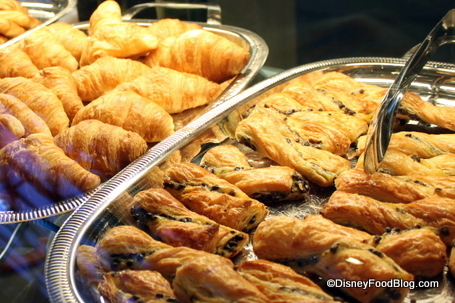 And, of course, no Disney breakfast buffet would be complete without ample breads and pastries on display! 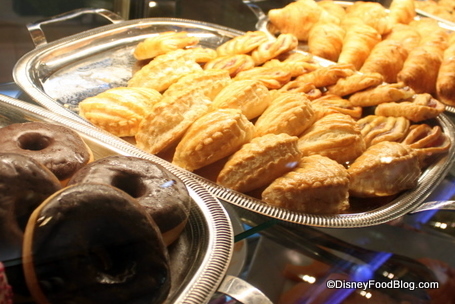 From croissants to donuts, there’s something for every palate here! 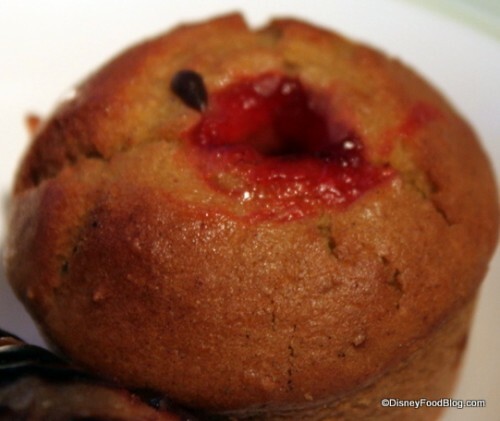 I was drawn to these filled muffins! 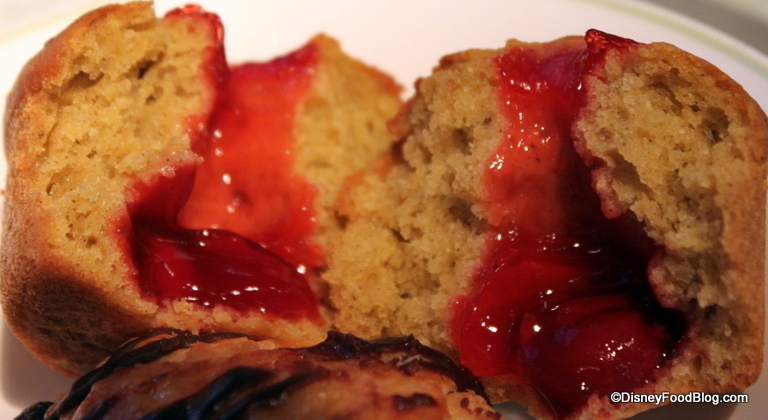 A sweet bread dough filled with what is essentially cherry pie filling? Yes please! 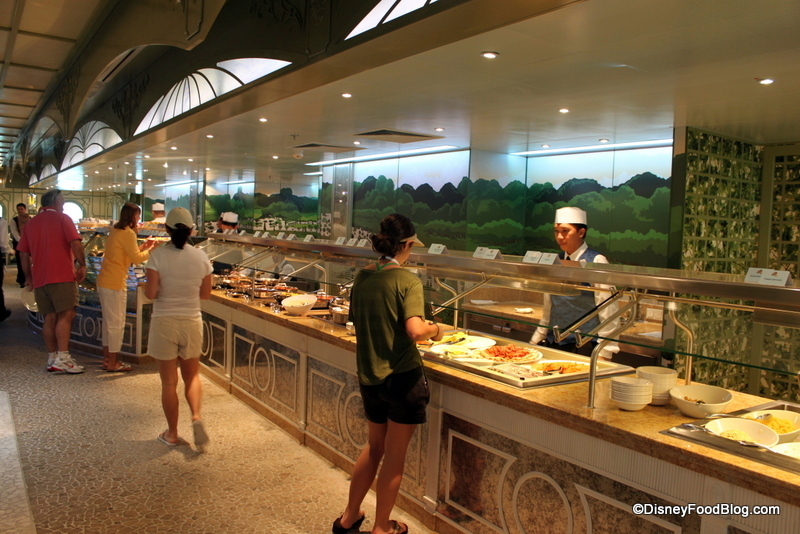 While there will be a larger selection at the Cabanas buffet, breakfast at Enchanted Garden is more elegant and often less chaotic. 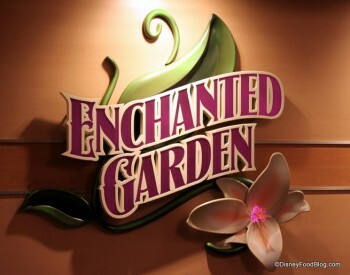 Let us know what YOU think of Enchanted Garden on the Disney Dream and the Disney Fantasy! 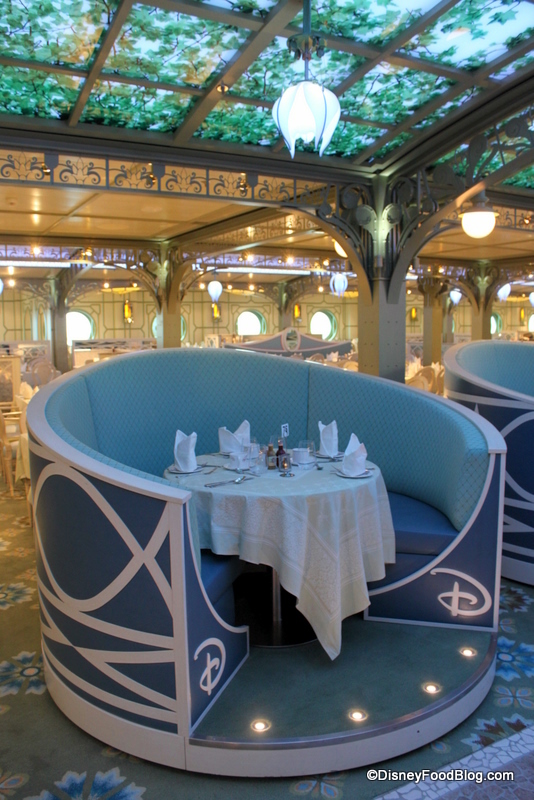 Glad I read to the end because I kept thinking I was going to have to ask “how do you get to sit in one of those booths?” HA! Elizabeth — I know! Aren’t they cool?! 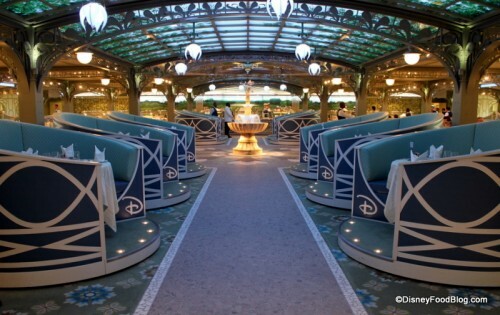 I know there are fancier restaurants on board but I just love the look of this place! Honestly, even if I was just eating a bowl of cold cereal and nothing else I think I would be over the moon just to be there in that gorgeous setting! 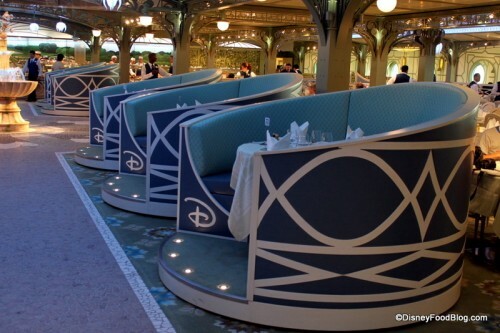 I would probably want to eat there once for breakfast and once for dinner just to see the difference in the lighting/setting! it’s sooooo pretty! Hi AJ! 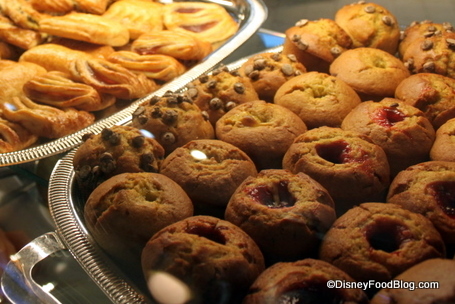 Is there any restaurant on the Fantasy where you can find Mickey waffles? They are my favorite! Going in June- can’t wait!! 🙂 I LOVE the Disney Food Blog- definitely my favorite unofficial Disney blog! Thanks! Vance — Thanks for the tip! Rachel — YES — Mickey Waffles on board! Even chocolate ones! WOW! Thank you so much AJ! I am soooooo excited- I have never had a chocolate Mickey waffle 🙂 Do you know what restaurants offer them? Rachel — Cabanas had the chocolate Mickey waffles this morning we hear.